Andrea Dold was drawn to Leggett & Platt for the opportunity to travel and work with people across the world. After studying accounting, fraud examination, and technical writing at Pittsburg State University, she started her career with L&P in December 2010. Andrea holds a unique position with the company because she works remotely. In fact, she recently moved even further away from the Corporate office. 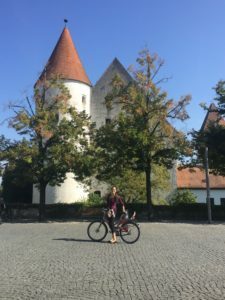 This past June, Andrea relocated to Ingolstadt, Germany, primarily due to her husband’s position in the Air Force. She will be living and working there for the next two years. 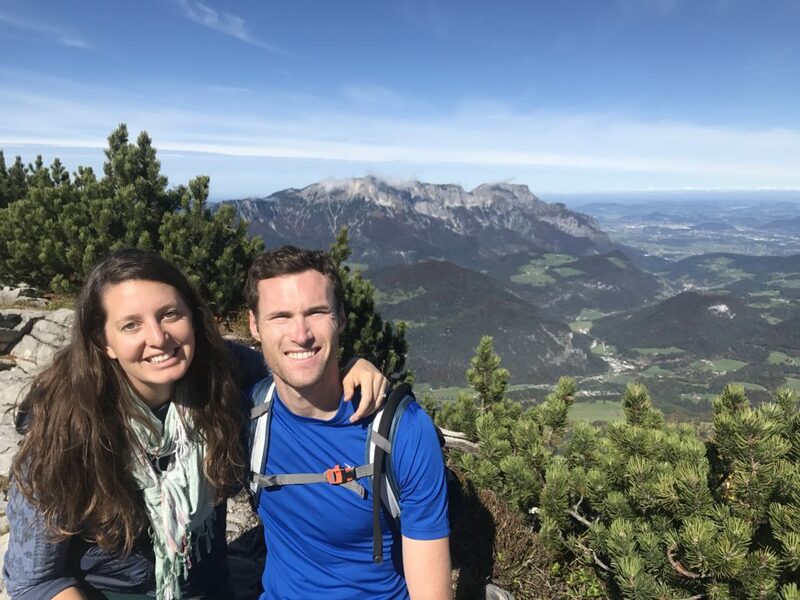 Andrea Dold and her husband take in the sights of Germany. Why did you pursue Internal Audit for a career? My dad is a CPA, so growing up I had interest in everything except accounting – I wanted to do something different! But as I grew older, I realized my personality mirrors his and lines up well with accounting. To be honest, after my first few accounting classes, I still didn’t love it, but I knew I’d be a good fit in the auditing niche. The organization and order of accounting blends with the constant changes required in audit, which is a unique mix I enjoy. As Audit Project Supervisor for L&P, what does your day-to-day schedule look like? As a remote auditor, I have above-average travel of about two weeks per month. When I’m not conducting an audit, I work from my office at home, doing tasks such as preparing for or wrapping up audits, reviewing projects, reviewing remediations, or various other projects depending on the need and time of year. What is challenging about working remotely? What is rewarding? I’ve been remote for just over 3 years. I started out in California, then Washington, D.C., and now Germany. Each location has brought its own challenges and difficulties that come with moving. But thankfully once I set up my internet and printer, my work can remain constant no matter where I go. After Germany, it’s up to the Air Force where they’ll assign my husband (and we won’t know that for a while). Fingers crossed that it continues to be in a place with an airport allowing me easy access to where I’m needed! The greatest benefit by far is the ability to retain a career despite moving as my husband’s job requires. I am incredibly thankful that my managers have been supportive and flexible, and we have all grown together as we shape the remote position. As with all things, there were challenges to work through at the beginning, but it has ultimately been beneficial for myself, the department, and L&P. I hope our efforts can help pave the way for opportunities for others in the future. What has been most exciting about moving to Germany? Getting acclimated to the biking lifestyle. 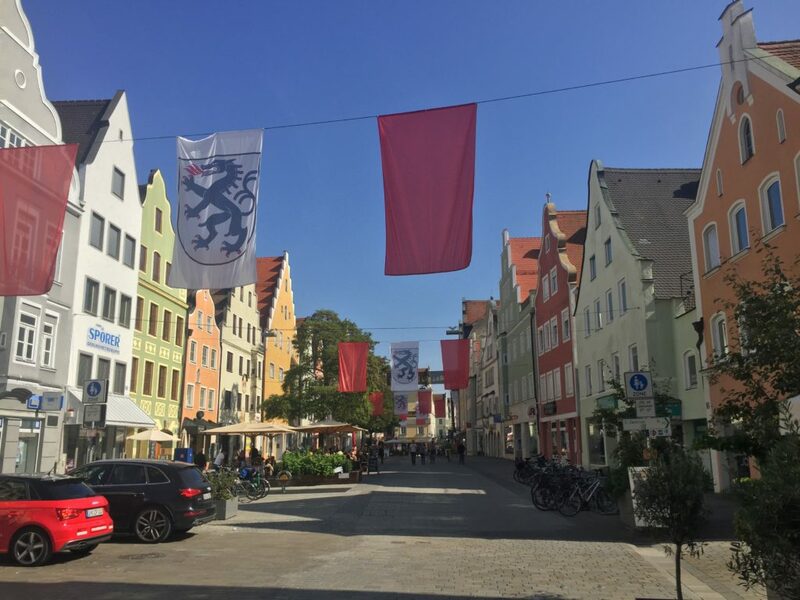 My husband and I are already in love with Ingolstadt. Europe is very bike-friendly, but Ingolstadt takes it to the next level with trails and separate roads with on- and off-ramps just for bikes. I love outdoor activities, so walking and biking to get groceries and for other daily tasks will suit me just fine! I am most excited for the opportunities to visit all over Europe and soak in the sights and culture. I already have a list of desired destinations and will try to maximize every weekend. These two years will fly by!